Any Video Converter is an easy-to-use program for downloading and converting videos from such services as YouTube, Daily Motion, Google Video, Nico Video and etc.. 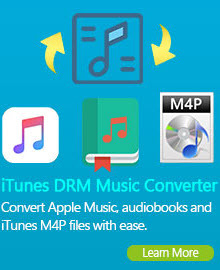 It is also an ultra YouTube to MP3 Converter which can perfectly download and convert YouTube videos to Mp3 and any other formats such as AVI, MPEG, WMV, MOV, MP4, RM, RMVB, DivX, ASF, VOB, 3GP, FLV to WMV video format supported by portable devices. Besides download and convert YouTube video to mp3, Any Video Converter is also an All-in-One video converting tool with easy-to-use graphical interface, fast converting speed and excellent video quality. It can convert video files from mpg, avi, divX, mpg, vob, wmv (Windows Media Video formats), 3gp (mobile phone format), asf, mov, rmvb and more into mp4, avi, mpeg and wmv files. Do you want to extract audio from your video files downloaded from YouTube? With Any Video Converter Pro, you can enjoy converting YouTube Video to MP3 with a ease. YouTube to Mp3 Converter uses the latest technology to convert YouTube to Mp3 with high quality. It's simple and it's fast. YouTube Converter to Mp3 is a popular conversion tool taking some of the most popular video files and converting them to high quality Mp3 audio. YouTube Converter to Mp3 produces the highest quality Mp3's and offer you the perfect auditory experience. Now you just need to follow the steps below while using YouTube Video to MP3 Converter and then can have fun with converting YouTube Video to MP3. Step One: Please download and install Any Video Converter. Then run this YouTube Video to MP3 Converter. Step Two: Use Any Video Converter to download YouTube videos. Click on the Download button, and paste the download link to the pop-out box. Then click Add to Download List button. You can continue to paste more YouTube video links as the previous steps. Please note, if you paste the download link and click Start Download button, the YouTube to Mp3 Converter will download the YouTube video without converting. Step Three: Choose Audio Files in Output Profile, and then choose MP3 Audio(*. mp3) output format. Press the Convert button to start convert YouTube to MP3. Magically your YouTube to Mp3 conversion will begin. Clicking Convert button will lead to both downloading and converting. Any Video Converter is also YouTube video downloader and YouTube video converter. It is very easy to download to your hard drive and convert YouTube Video to MP3 with the built-in YouTube video downloader and YouTube video converter. 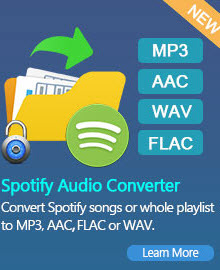 Besides convert YouTube to MP3, Any Video Converter can do more works for you. Maybe some people prefer enjoy YouTube videos on TV system. So they need to burn YouTube videos to DVD or Blu-ray disc. But how to burn the funning YouTube videos to DVD or blu-ray disc? With Any Video Converter, you can convert and burn your desired YouTube videos to DVD format for enjoying on your TV system. This YouTube to MP3 converter supports burning video to CD-R, CD-RW, DVD-RAM, DVD+R, DVD+RW, DVD+R Dual Layer, DVD-R, DVD-RW, DVD-R Dual Layer, random access writes, Blu-ray media, Blu-ray Rewritable media.